One rat, two rats, three rats… more. Chances are if you have seen one rat foraging for food there are countless more scampering around your property. But rest assured that you are not alone, as it is widely reported that nearly 30% of all US households experience a rodent infestation. Often seen in cartoons for hilarious effect, some of the best rat traps have been used as an effective form of rodent control for decades. Used in conjunction with rodenticides, but also as a standalone method, there are many benefits for using traps to catch and kill rats. Just like us humans, rats come in all different shapes and sizes and can measure anywhere between 13-18 inches long. Therefore, a trap needs to be bigger than the rat it is housing. 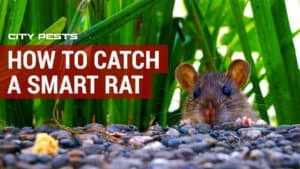 There are a number of traps on the market, but before you splash your cash you need to consider whether you want to kill or simply catch your rodents. Those which are designed to eradicate rats include snap, electronic, glue and gas traps. 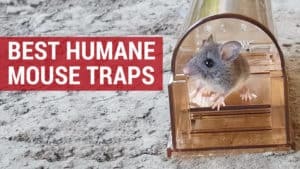 Humane traps, however, will allow you to release them unharmed, far away from your property. 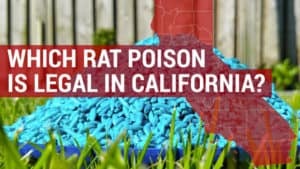 Rat poisons are often toxic and pose a potential safety risk to children, pets and other wildlife whereas rat traps – when used and monitored correctly – are safer, work on rodents who may be bait shy and can reduce the risk of decomposing odors. No one wants to have to deal with a rat issue, no matter how big or small, but if you can identify the cause of the problem then eliminating it with a rat trap should be simple. 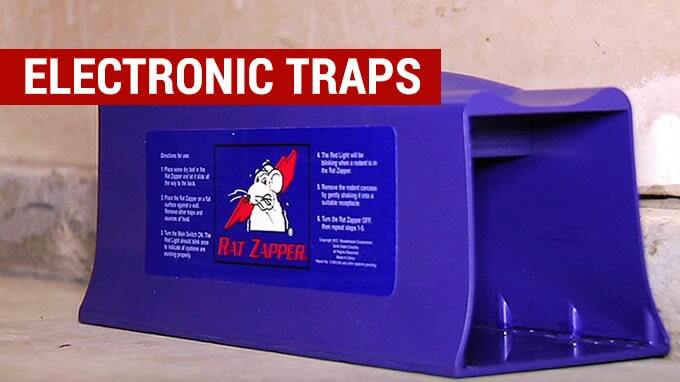 There are so many rat traps available on the market that it is easy to become bamboozled. 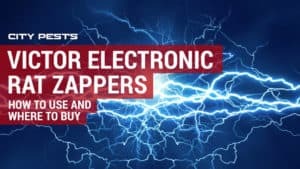 As someone who has tried and tested nearly every solution on the market, I will give you my honest, expert opinion on the best rat traps to buy – all of which can be easily bought online. 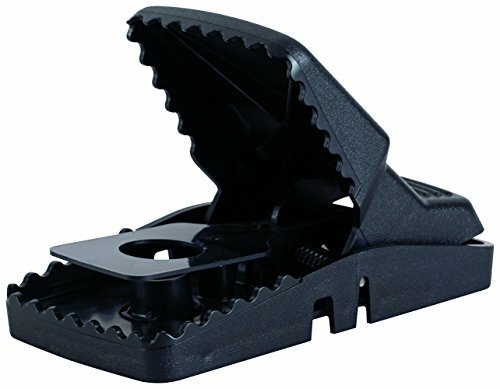 When you think of a rat trap, the snap trap probably ‘springs’ to mind. This is because they are the most popular traps on the market. Cheaper than other rat traps, they work by luring the rat onto a block of wood, plastic or metal via a piece of bait. The bait is attached to a trigger, and once the rat settles down for a nibble, the trigger gets released instantly killing the rat. Although often tricky to use (and care should be taken when setting them) these traps can be used time and time again. We like the Tomcat as it is not only effective in killing rats, but its design allows you to set the bait by flipping it over – hence staying away from the snap trigger. We often find that whilst it is incredibly hard for one of us to set a trap off accidentally, it only takes a little nudge from a rodent to actually capture it due to its strong striking force that kills the rat upon impact. The only real negative to this product, is that because it is a lightweight design, some rats who may not have been captured by the head, have been known to wander off with the still attached. 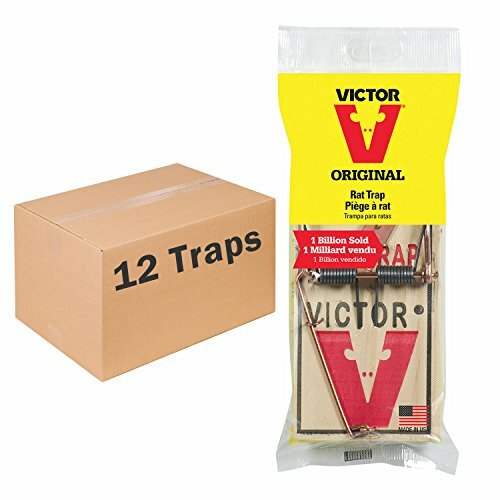 Based on the classic rat trap, the Victor metal rat trap is popular because it is so cheap and effective. 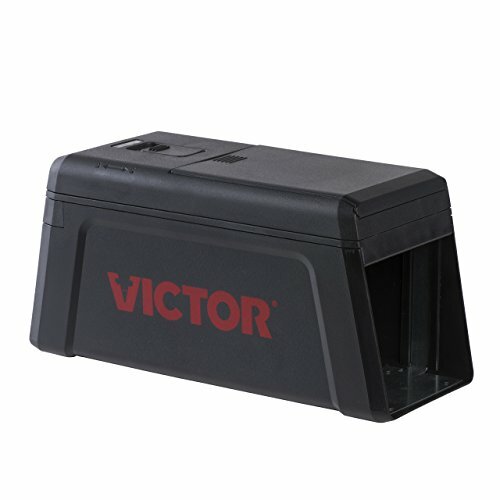 Victor actually makes two versions of this trap – Standard and Professional – but we prefer the Professional rat trap as you can set it to different sensitivities. Just pull the spring back, set the trigger and sit and wait – just watch your fingers in the process! The Intruder is a modified version of the traditional wooden spring trap above. The difference being that it trap is made of plastic and is much easier to bait. Designed to suffocate the rat it provides for a less messy kill. After trapping the rat, you simple press to eject it. An electronic rat trap or zapper is my number one preference if we are called to a home where a rat has been spotted or a situation is starting to spiral towards an infestation. The reasons we like these traps so much is that they tend to be made to a high standard and more importantly, they are incredibly effective. 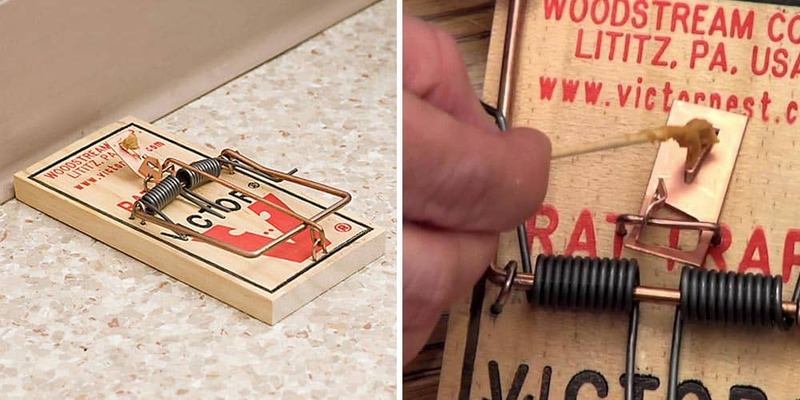 These traps work by delivering a high voltage electric shock to the rat upon entering the trap, killing them immediately in a way that is as humane as possible. Plus, you are not left with a load of mess to clean up, allowing you to dispose of them in a stress-free manner. Precision rodent detection technology. Emits powerful 7000V electric shock. Instantly kills rodent. Effective for Rats, Mice, Chipmunks, Squirrels and all other similar rodents. Size: 11" x 4.5" x 5"
Perfect rodent control solution for homes, commercial kitchens, warehouses, etc. Simple to use; just insert batteries or plug-in and apply a small amount of bait. Includes a 5 Ft. plug-in adapter. Can also be operated with 4 'D' batteries (batteries not included) / Upgraded for enhanced performance. 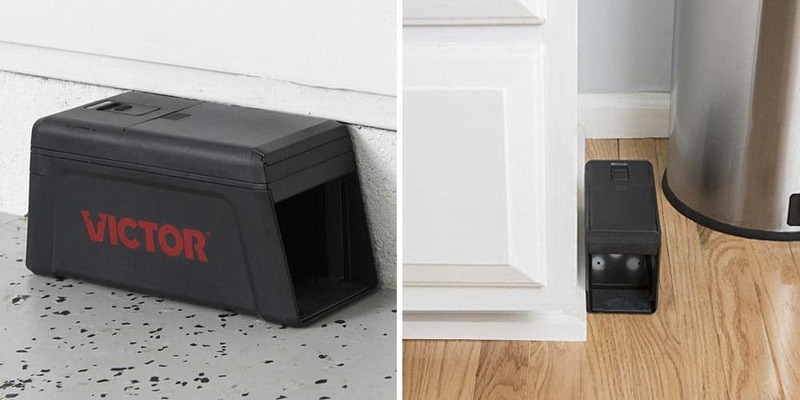 We like this trap as you have the option of either plugging it in with a power cord or using a set of batteries – enabling you to catch those rats no matter where they are hiding! The PestZilla electric trap applies a pretty powerful shock (7,000 volts) which means your rodents will receive an instant, painless yet certain death. Once caught the trap gives out a beep and the light flashes in order to let you know. 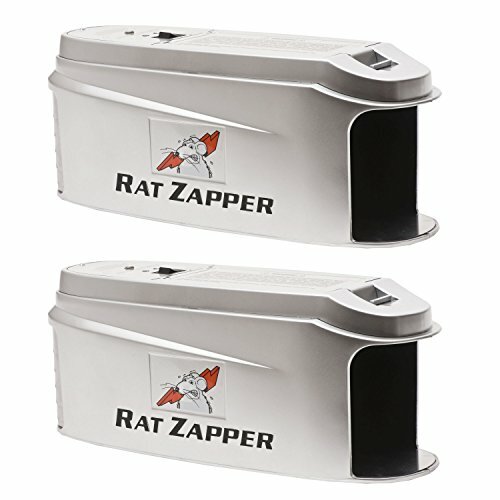 The Rat Zapper is a more expensive purchase but well worth the investment claiming to kill up to 60 rodents per set of batteries. Although we have never personally tracked this, we do know that it makes short work of any rat that scampers inside. Delivering 8,000 vaults over a 2-minute period, this roomy device ensures a permanent kill. As the trap is a significant size, we tend to use this for commercial properties or where there are severe infestations. And the great thing about it is it is easy to setup, use and clean, ready for the next wanderer. If you have a chronic infestation, then this powerful device is capable of killing up to 50 rats per set of fully charged batteries. We also find it the easiest of all the electronic traps to use. 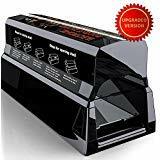 As per the other products, the Victor No Touch No See senses when a rat enters the tunnel and triggers the system to deliver a humane, high-voltage shock upon which a green LED light blinks to alert you of a kill. The best thing about its design is that it allows you to easily dispose of the dead rodent without having to see or touch it (hence the name). A removable kill chamber allows you access to dispose of the body easily, as well as clean and bait it in between uses. If you are an all-round animal lover or particularly squeamish, then you may want to consider a more humane form of pest control such as live rat trapping. These mechanical traps look like common pet cages; however, they have a mesh opening and are equipped with spring loaded doors and sensitive triggers. All you need to do is lure the rat in with some tasty bait. Then once safely ensconced, the door will spring shut behind, locking the rat in. 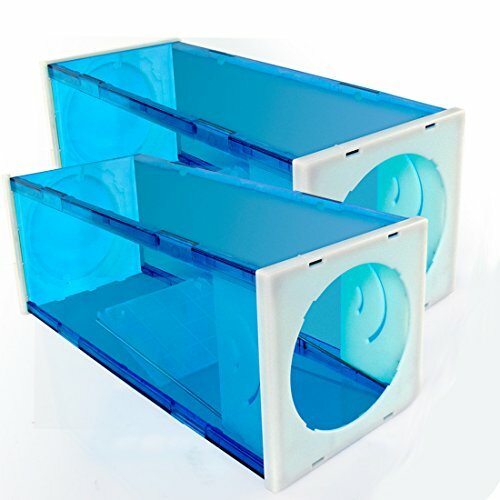 This trap is effective for small infestations, but if you have more than a couple of rats to get rid of, we would recommend looking at alternatives as you may find yourself constantly transporting rats away from your home. NON-TOXIC SOLUTION: easy to set up the bait and catch undesired animals alive. DURABLE: constructed of sturdy galvanized steel for maximum resistance to rust and corrosion. ULTRA SENSITIVE: once the pedal touched slightly, the trap will be triggered and the door shut up at a lightning speed. ESCAPE-PROOF: small mesh openings and door lock ensure the trapped rodent no way to escape. 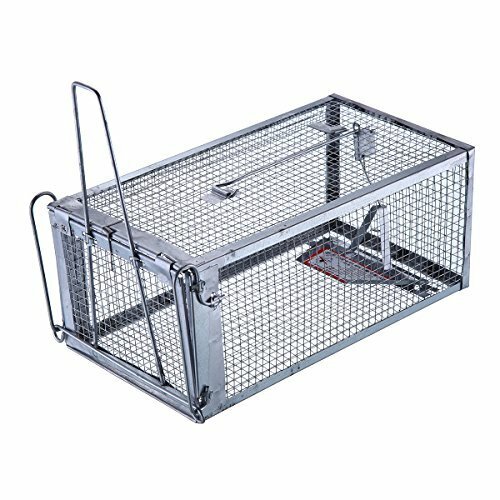 10.5" x 5.5" x 4.5" TRAP CAGE FOR CATCHING: ideal for chipmunks, rats, weasels and other similar-size nuisance animals (NOT for squirrels). The Trapro live trap is made of sturdy galvanized steel so can be placed both inside and outside the home without rusting. It has an ultra-sensitive trigger which can be adjusted, and its quick locking door ensures no escapees. The Vensmile transparent trap is safe to use around children and pets and is suitable for those who do not want to kill or harm pests. As per all the other traps, the rat is persuaded into the flask by a freshly laid meal. Once the rat is inside a trigger goes off and the rodent is trapped by a spring door. Here it will stay unharmed, receiving oxygen through a number of ventilation holes, until it can be relocated. The Havahart was designed with human safety and the welfare of rodents in mind. The door has smooth edges so even if the rodent tries to escape they are not in danger of causing themselves harm and the wire mesh allows them to breath easily. The two doors allow access from either end of the trap and the convenient handle on the top allows you to transport them effortlessly to their new home. 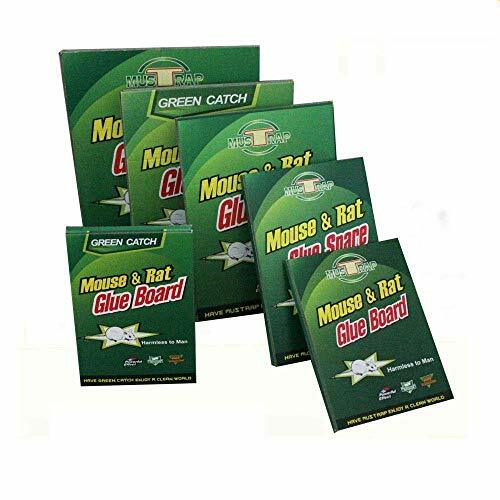 Glue traps are pads, covered with a thick adhesive and housing tempting bait in the middle. To the unassuming rat, this pad is just an extension of the floor and they will patter across it in order to reach the bait. As soon as the rat comes into contact with the glue it will stick. Unable to free itself, over a period of time, it will suffocate and die. 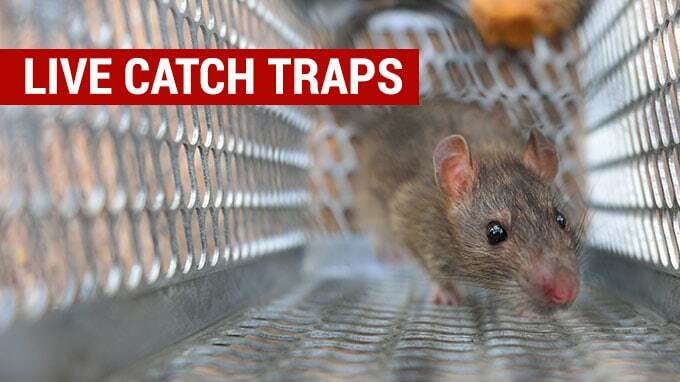 Glue traps are, in our opinion, the least humane of any trap and for this reason we would never advocate using them as a method of pest control. Relatively new to the market, gas traps offer an alternative way to rid your property of rats. These pricier traps work by enticing the rat with bait into a strike tube where it emits a CO₂ powered shot, killing the rodent instantly. 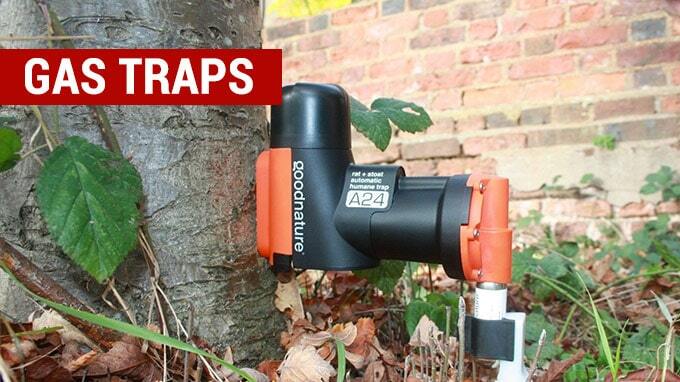 The biggest benefit of using these traps are that they are waterproof so can be used outdoors all year round. We must confess that this is the only gas trap that we have tried to date. We fell in love with the A24 rat trap instantly, as did our pest control clients, when they saw it in action. Designed and researched in New Zealand, this trap has been put through it paces in the most dramatic of locations including Mt Taranaki . This gas trap is particularly effective as it can be used outdoors. A sturdy appliance, you simply attach it to a wall or tree and await the results. 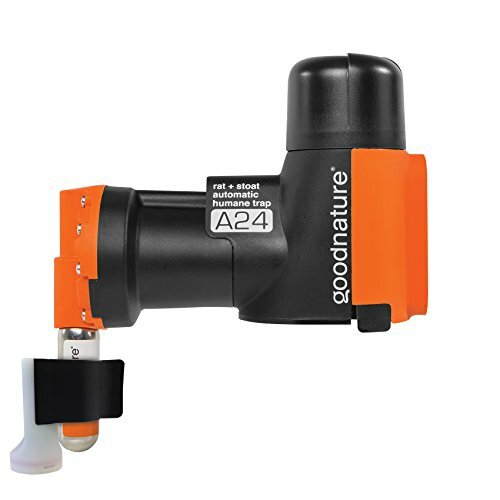 The Goodnature trap comes with around a 6 months’ worth of non-toxic bait and 2 CO₂ cannisters, so although it is a pricey outlay, you don’t need to worry about buying additional items. After each kill it automatically resets itself ready for the next with no intervention from you. All you need to do is dispose of the rodent victim and await the next kill. If you live with pets or children then we would strongly recommend that you use a rat trap and natural bait, over rat poisons or rodenticides. 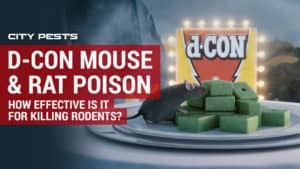 Rat poison contains toxic ingredients which are fatal for rodents, however, when exposed, ingested or inhaled by animals or humans can lead to serious health implications. 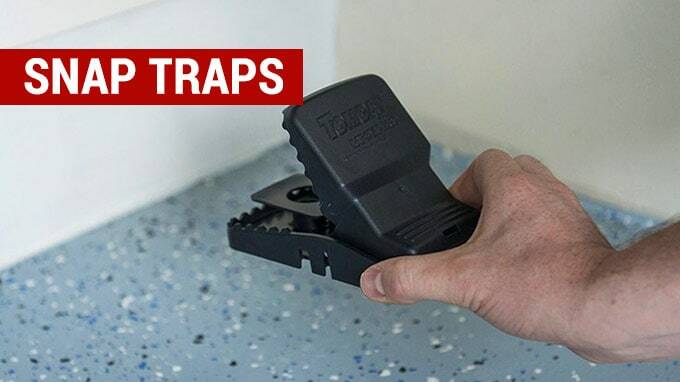 Setting a trap is a far safer solution, but be aware that some rat traps, such as snap traps, could cause harm to curious paws or little fingers. If you think you have an unwanted roommate and want to evict them, we would suggest laying a few traps where you think they are hiding. 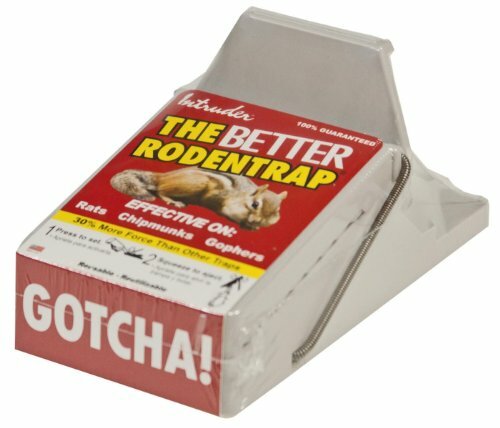 Rat traps are a good form of pest control for smaller infestations as they provide you with quick and instant results. Plus, leaving the rat in one place makes it easier to dispose of and avoids the possibility of any icky odors developing. Over the years we visited countless buildings where traps had been laid yet the rats kept on persisting. Failure to deal with the source of the issue; such as blocking up entry points and taking away potential food supplies; means that you will be rat trapping forever. Although rat traps are highly successful, when up against a chronic infestation this method can be very time consuming and labour intensive. In these instances, you may want to think about employing other methods of pest control in conjunction to trapping, such as poison. Rat traps are a more expensive option to other alternatives, especially if you are looking to capture large rat populations and are often not considered humane. In this article we have talked you through a number of rat traps for different rodent scenarios, as well humane and inhumane methods which we hope has been helpful. Location, location, location…it is the most important thing when it come to laying traps. No matter how small you think your pest problem may be, laying a single trap will not solve it. We would suggest in the first instance that you take a good look around the area the rodents are living in and inspect it for grease marks, footprints and droppings. As rats are creatures of habit who don’t like to stray far, you will find that they will stick to the same daily routine. Once you have established their main run ways, you need to start laying a path of traps. Rat traps are most effective when they blend in to the environment so as not to arouse suspicion. A top tip from us is to resist the temptation to set the trap on day one. It is unlikely that they will put themselves in a position of potential harm immediately, instead they may let their whiskers brush the side or nudge their noses close by. Allowing them to accept the trap and feed from it, instils trust and the more likely they are to return unnerved. 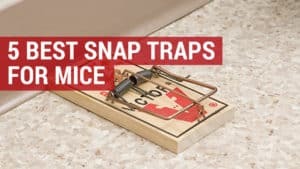 Depending on the severity of the pest problem, we would suggest placing at least a dozen traps in the areas where you think they are living, as well as around potential closed off entry points. Whether you want to include bait on a trap is a personal preference, and below we have listed some of the best natural baits to use. Some people think that by using bait you are encouraging more rats into the property yet others believe that it proves a fatal temptation. Finally, we would strongly recommend that you check your traps every day, if not more, especially if you are catching a lot of rats. This way you can not only remove and dispose of them before they start to decompose, but you it gives you added time to reset the trap. 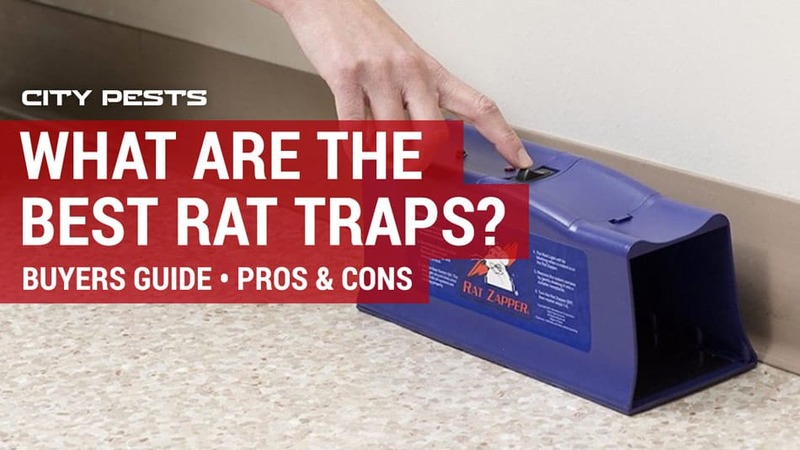 Once you have stopped hearing the scratching and scurrying sounds at night and had a number of days where the traps have been rat-free, you can confidently assume that your problem is solved. Bait is food that you lay within a trap in order to lure a rat in. 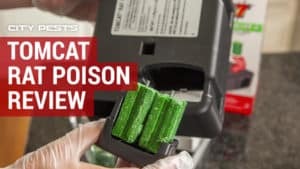 These can be natural or poisoned but we would suggest only using poison in a bait box, rather than a rat trap, to ensure there is no accidental toxic contamination. The type of bait you choose should depend on the type of rodent you are trying to catch. Contrary to believe, not all rats like cheese. Roof rats are vegetarians whilst Norway rats are omnivores eating plants, food and meat. Most rats tend to stick to food that is familiar to them and are unlikely to try something new. Peanut butter – this has to be the best bait of all. In fact, many poisons are now flavoured or contain the aroma of this sticky, crunchy spread as rat find it simple irresistible. It is due to its glue-like consistency, that rats find it difficult to sneak it out of traps, so will happily stay in one place to munch. Cat and Dog food – Norway rats are used to foraging through bins, so the smellier the bait the better. This is why pet food and strong-smelling cheeses work well but beware of if you have animals or small children who are also drawn to the aroma. Fruit – Black rats are attracted to all types of fruit but will not touch them if they are rotten. Therefore, you need to ensure that your bait is changed regularly so that it doesn’t become spoiled. Just like us humans, rats have a discerning palate so what may work for one may be another rat’s evil. I would therefore suggest leaving the bait for a couple of days and if there has been no sign of interest, then don’t be afraid to try something new. 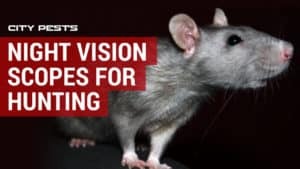 We often get called to a property where the owner will explain to us how they have tried everything they can to get rid of rats without much success. We firmly believe that trapping is an effective form of pest control no matter how severe the infestation and that ultimately the failure is more likely down to be down to not using enough traps, putting them in the wrong places, using the wrong bait or not checking the traps often enough. If you follow these simple tips, there should be no reason at all not to be catching and evicting your rodents. We are often asked which rat trap is the best, for which there isn’t a straightforward answer. It really depends on the severity of the infestation and where it is. If your pests are roaming indoors then we would choose an electric rat trap every time, however, if your issue is outdoors then a gas trap should be your preference. If you have just one or two pests that continue to bother you, then perhaps try a live trap in order to relocate them. 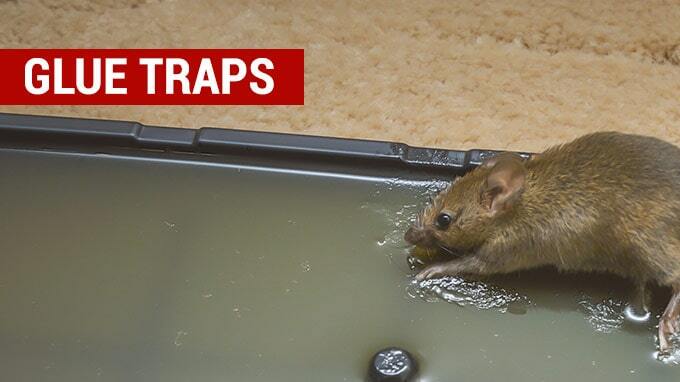 Never resort to glue traps as they cause undue harm to rodents and are dangerous to other pets and wildlife. Finally, opt for traps that alert you to a kill so that you can dispose of it immediately. Make sure that you install the right number of traps for your premises and we would always recommend that you try to find a long-term solution, rather than a short-term fix. It won’t matter how many traps you lay, you will never be rat free if they continue to have easy access to shelter and food.